I found out Don Dehm moved on to his next adventure in the great beyond yesterday. Don was one of the nicest, most helpful dudes I ever met in the gaming world. I was one of the earliest guests on the old Pulp Gamer podcast (episode #5) and that got me interested in podcasting to where I was a long-time subscriber before eventually taking my own podcasting plunge. Any time I needed to reach out to Don with a question about the gaming business, podcasting, or GAMA (when he was on the board) he never treated my questions as an annoyance, and was always very enthusiastic about helping anyone and everyone find their right niche in the gaming world. 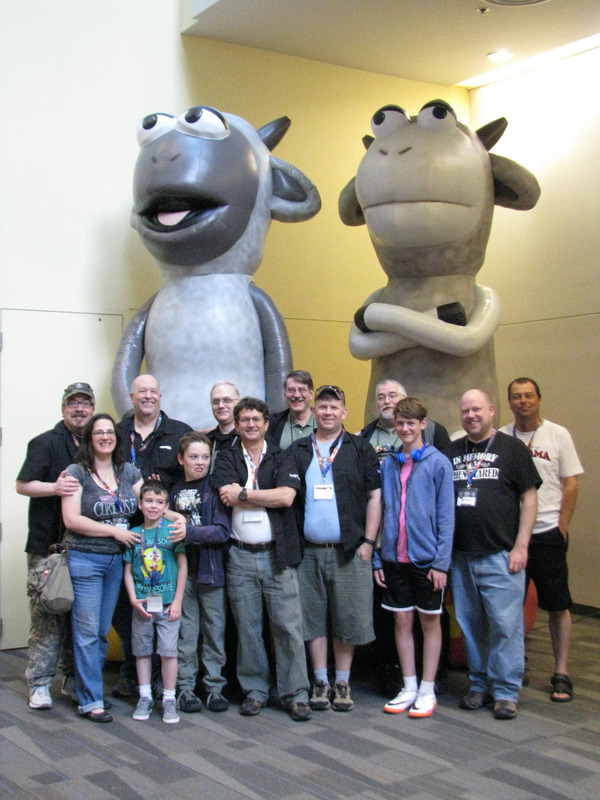 Don was one of the original brains behind the Bob & Angus show, which spawned the larger-than-life sheep we used to have a backdrop to our convention photos. Our industry lost a great friend, and one that will be impossible to replace. Next Origins, we’re going to hoist an extra drink for Don.